Happy Monday! We can actually say that since it is Labor Day which means a day off from work and an extra long weekend! I'm actually still enjoying my 4 day weekend on the Cape. 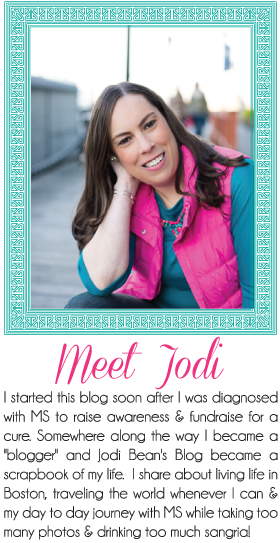 I came down on Friday and I'll be sharing a couple blog posts this week of the fun things I've done. But first I thought I would finally share my mini-vacation to NYC. Remember when I went to NYC like three weeks ago?! 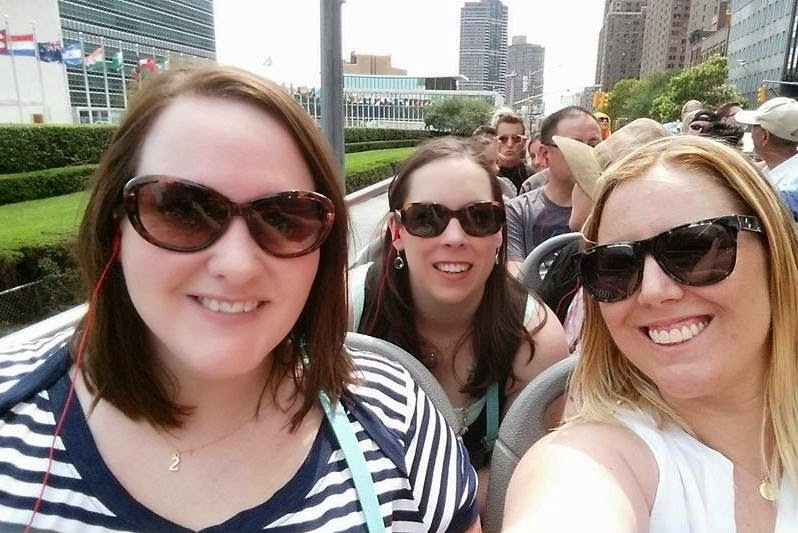 I met up with Leeann and Christina for 2 days of fun in NYC. You can see more than you'd think in 2 days! Even though I had been to NYC a few times before there were a lot of touristy things I had never done before so I was more than happy to do it all this time with first time visitor, Leeann! We all met up at the hotel on a Sunday evening. We stayed in Midtown which ended up being a good location for us. 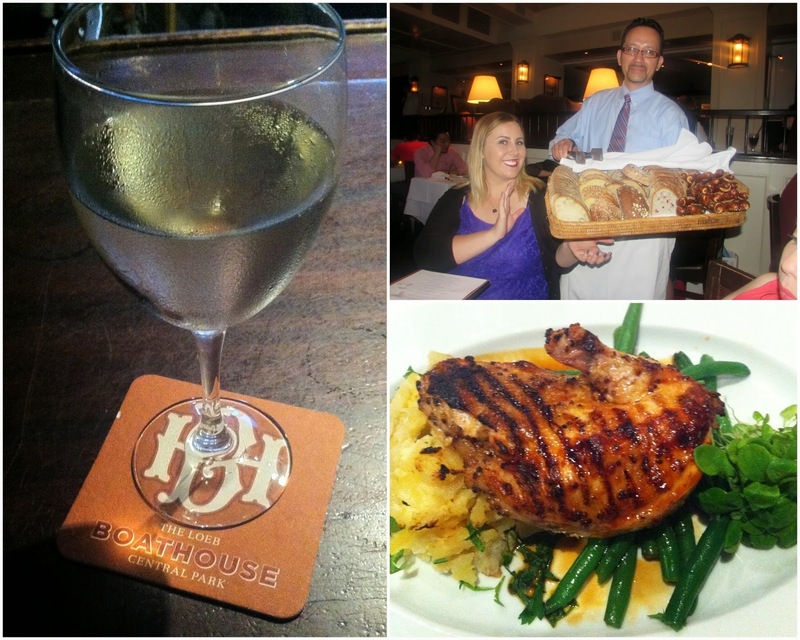 All we had on the agenda for Sunday night was quick food and then fancy drinks at the Kimberly Hotel. So we grabbed a quick bite a a diner next to the hotel and then made our way to the rooftop bar for cocktails with a view of the Chrysler Building. The drinks were very pretty and delicious but at $20 bucks each we only had one! Luckily the staff were super nice and not pushy with selling drinks at all. We chatted and enjoyed the views (including the Super Moon that was out that night). The next morning we were up bright and early to tour the brand new 9/11 Museum. I'm going to do a separate post on that on September 11th so stay tune! After spending a few hours there we were starving so we grabbed a quick slice of pizza for lunch. You have to eat pizza while in NYC and it was so good! Next up we walked over to the Staten Island Ferry to take the free ride through the harbor in order to get some beautiful views of Lady Liberty! I had never done this before so was pretty excited to check it out. It was worth the crazy crowds. The views of both the Statue of Liberty and the city skyline were gorgeous! I highly recommend jumping on the (free) ferry in order to catch these views. So worth it and better than going to the Statue of Liberty in my opinion. After Staten Island we hopped on the Gray Line bus which we had pre-purchased tickets for. It is a hop on/hop off bus that has a tons of stops and really is the best way to see everything in a short amount of time. Unfortunately we seemed to often be waiting for buses longer than promised, the tour guides were just so-so and the staff in general was unprofessional and dare I say rude at times. With those things aside it was still the best way to cover NYC in 2 days (would probably try a different bus company if I ever go back). We jumped off the bus to check out a corner of Central Park. We saw this pretty bridge and walked to the Merry-Go-Round. The park is just so big that we couldn't cover it all but it was nice to see this area prior to dinner in another area of Central Park. . .
After a quick change at our hotel we jumped in a cab and went to another area of Central Park near the Loeb Boathouse restaurant since that was our "blogger dinner" location. We walked around for a little while and I just fell in love with this fountain because it was filled with lily pads and the most gorgeous flowers! This is the restaurant. A little overpriced but worth it for the location. 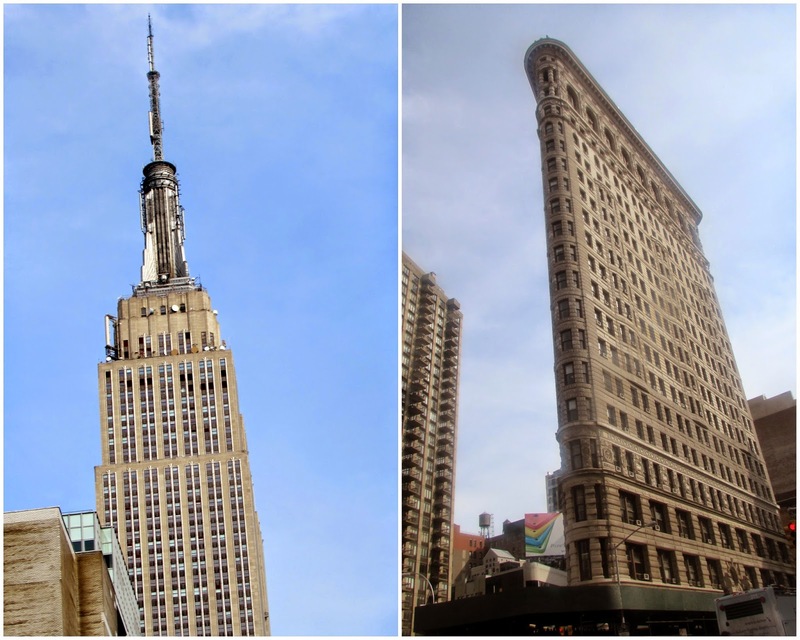 A fun place to go as a tourist but not a place I would go regularly if I lived in NYC! Leeann was our organizer and invited some wonderful ladies to join us for dinner. She had been reading their blogs for years but they were new to me! So glad to have made some new blogger friends. From left to right: Kim, me, Christina, Allison, Kelly and Leeann. 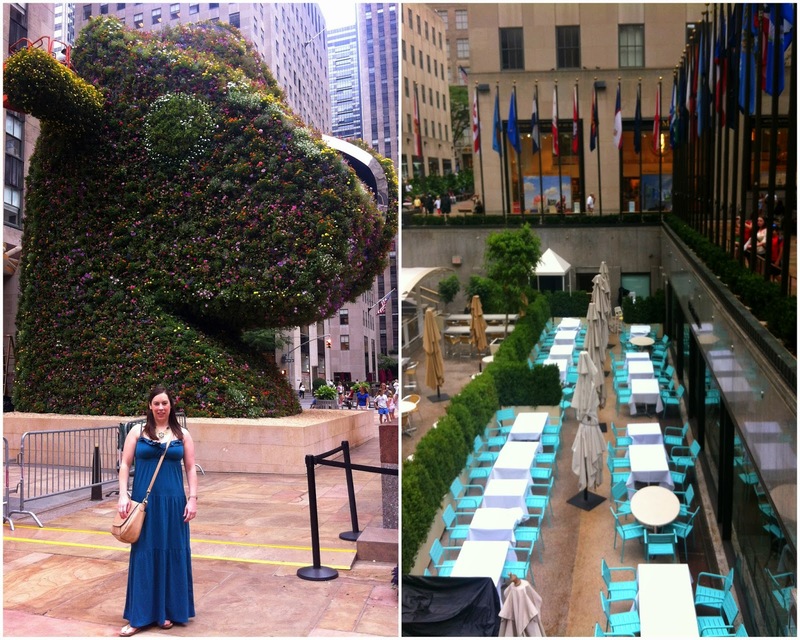 On our 2nd day in NYC we woke up early again and went straight to Rockefeller Center. After making our cameo on The Today Show we walked around a little bit before heading up to Top of the Rock for some amazing views of the city! This was another one of my favorite parts of our time in NYC. 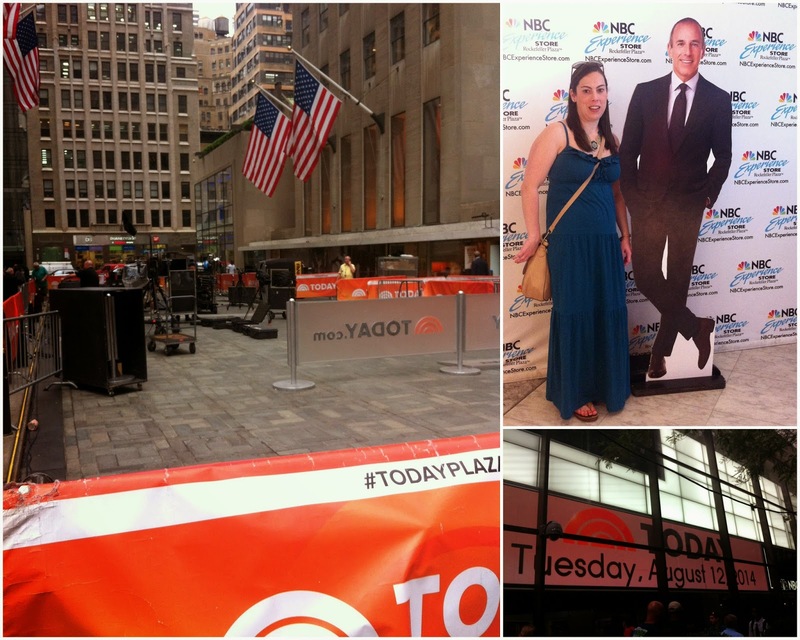 (Yes we really were shown on The Today Show when they were coming back from a commercial break. We were eating breakfast at a cafe next door)! That is a Giant Rocking Horse sculptor made out of flowers. While we were there they were grooming and watering it. This thing is no Christmas tree but still pretty cool! This building is nothing special from the outside but the views from Top of the Rock are outstanding! Don't look down. . . if you're afraid of heights!!! After Top of the Rock we made our way back to the Grey Line but this time for the Uptown tour. We had down the whole loop of the Downtown tour and wanted to see how the other half live! I forgot to charge my camera battery that morning so it was dead by the time we got to this part of the tour which is why I only took a few photos on my iPhone. I love Uptown! The tour guide on this part of the tour was one of the better ones (which isn't say much considering the others were sub-par). He pointed out where all the rich and famous live which was fun! 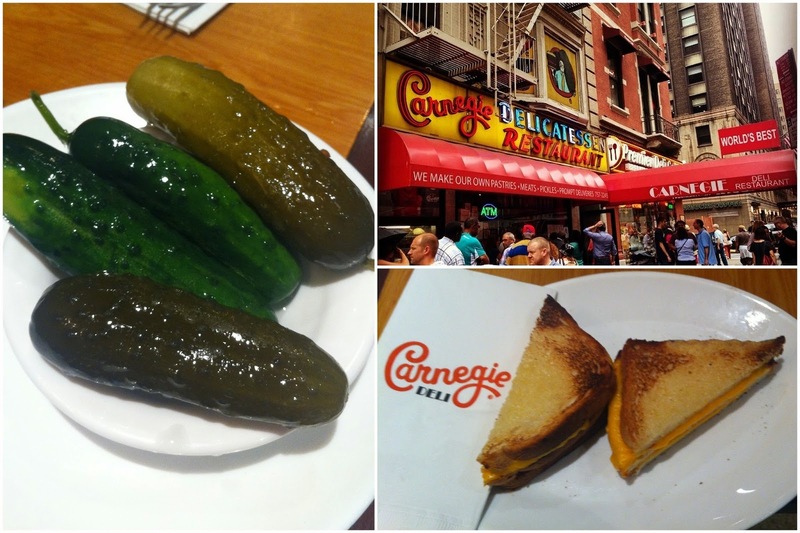 At the end of the tour we hopped off and had a late lunch at the world famous Carnegie Deli. Neither Christina or I like pastrami or corned beef so we opted for something else. Leeann had the famous corned beef sandwich and it was HUGE! Even my grilled cheese was huge with 3 slices of bread. The cheesecake looked amazing and of course, huge but we were too full for it this time. . . After our late lunch I had to make my way to the Port Authority to catch my bus home. Leeann and Christina stayed and did the Brooklyn loop on the Grey line so make sure to check out their posts too! We covered a lot of ground in our 2 days. It was busy and fun with lots of laughs. 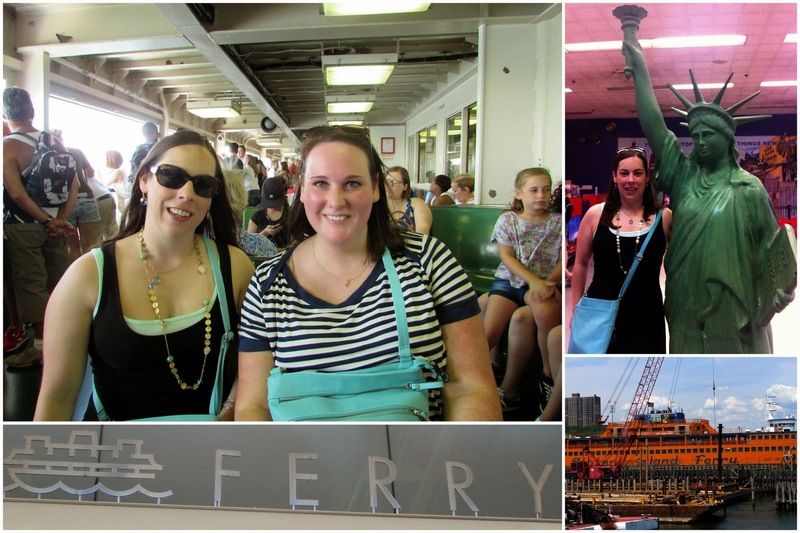 Great memories were made and I'm so glad I had the chance to play tourist in NYC! $20 for a drink, whaaaaaaaaat? Incredible skyline pics. 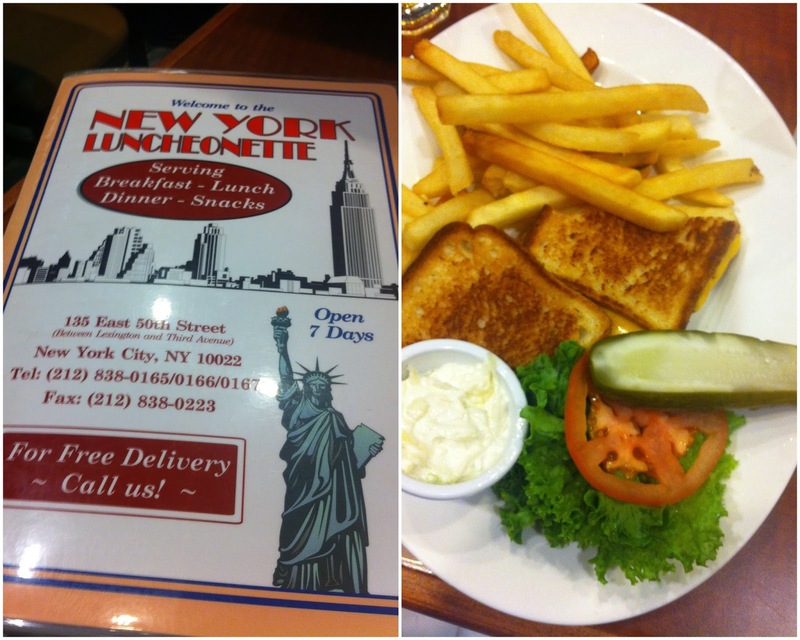 We don't live far from NYC so we should really go there more often. You saw and did a lot in 2 days! The tour bus seems like a great idea to see a lot. Hopefully next time you have a better staff and guide. Wow you did so much! I need to visit the NE, you're giving me some great travel inspiration for the area. Aw glad you had a good time in my beloved city :) I definitely need to get to the Statue of Liberty lol I haven't gone since I was little.